The year XYZ. Humans are long extinct, but civilization lives on. A billion artificial minds float through the Light World, a boundless virtual palace of living information. Most know humanity only through the archives, of which all human history makes up the merest fraction. Few have visited the physical world, the Stone World, at all. 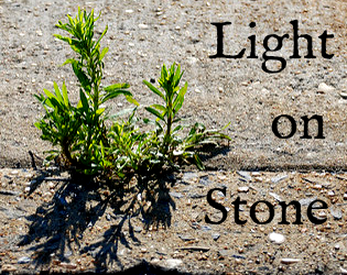 Light on Stone is a pervasive role-playing game. It was commissioned by Peabody Essex Museum for their Playtime exhibition. Thumbnail image is Ryan's Grass in the Sidewalk. With feedback from Leigh Alexander, Rob Lockhart and Joli St. Patrick. And with some debt to Caitlynn Belle, whose work has hugely inspired my own.